Imagine you are a copper nicking sheep thieves but chummy denies he is guilty. Earmarks look as if they might have been tampered with, but is that a sure thing? 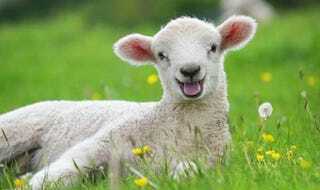 After all your only witnesses are pregnant fluffy bundles of fun that taste great with mint sauce. What are you going to do? For Dyfed-Powys Police it was a case of playing it softly-softly to catch their monkey, eh, sheepy. Once the sheep had lambed they swept in with the Animal Plant health Agency to carry out a series of blood tests which could be compared with rams at the real owner’s farm. This paternity test proved the sheep had been taken from a farm in Derwydd near Llandybie in Wales. Looks like it is time to change that plea.